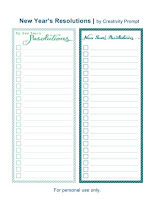 Get Free – New Year’s Resolutions Lists Templates. 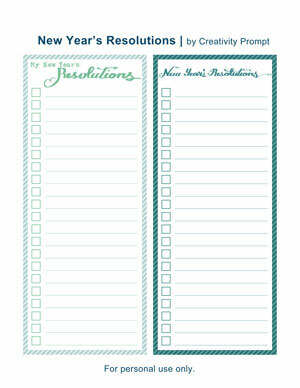 Creativitypromt.com is offering free New Year's Resolutions lists templates. All you have to do in order to download the PDF file that contains the free templates is either click on the image once you visit their site or click on their download link. After that just save it to your computer.